The Hotel Telluride is a luxury boutiuque four-star hotel on the west end of Telluride Colorado; just four blocks from the Gondola and steps away from the nightlife and restaurants of historic downtown. Combining colors and textures of the wide-open American west with the style and comfort of a fine European Hotel. 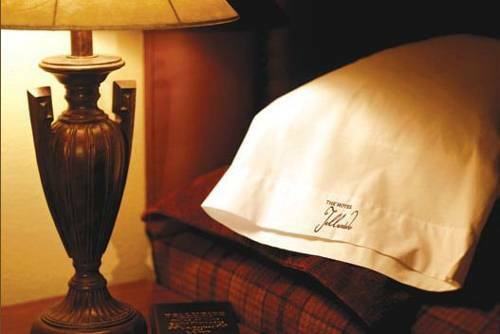 The Hotel Telluride features 58 fabulously appointed guestrooms. The hotel also features an expansive soaring lobby and Our Bistro serving breakfast and dinner. Additional Information; All rooms are nonsmoking and handicap accesible guestrooms available on request basis. Maximum number if guests per room type is 4. Pets up to 75 pounds are welcome with advance notice for an additional fee. Children under 12 stay free. Rusticos: Inside this touch of Italy ristorante you will experience specialty dishes from a diverse selection of Italian regions. Cosmos: This restaurant offers fine dining with generous portions and outstanding ingredients. Menu includes Southwestern American and Thai. La Cocina de Luz: Featuring traditional cooking methods fresh local and organic ingredients handmade tortillas daily specials and a salsa bar.